The past few months has seen many luxury automakers causing waves around the world. First, there was the North American International Auto Show, which was then followed by the Geneva International Motor Show. However, it was there when Aston Martin brought forth its latest vehicular creation. 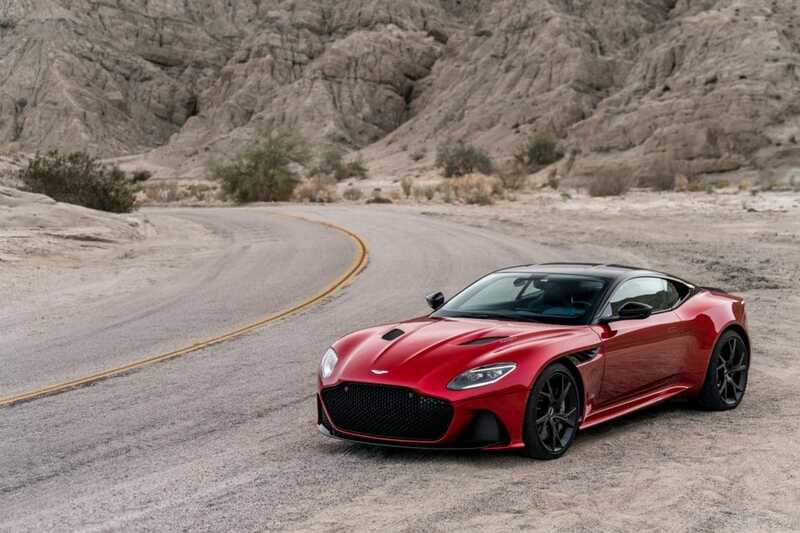 It’s known as the Aston Martin DBS Superleggera, and it’s finally in Malaysia. 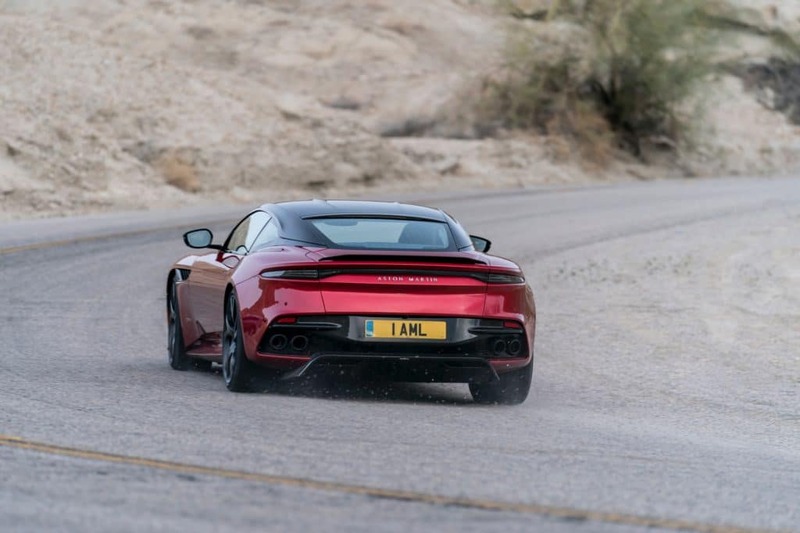 The British automakers consider this a rebirth of an icon with its naming convention adopting two distinctive Aston Martin names. First off is DBS, which comes from the gran tourer it was known for back in 1967. Superleggera, on the other hand, pays homage to the innovative lightweight construction methods founded by Italian coachbuilder, Touring. 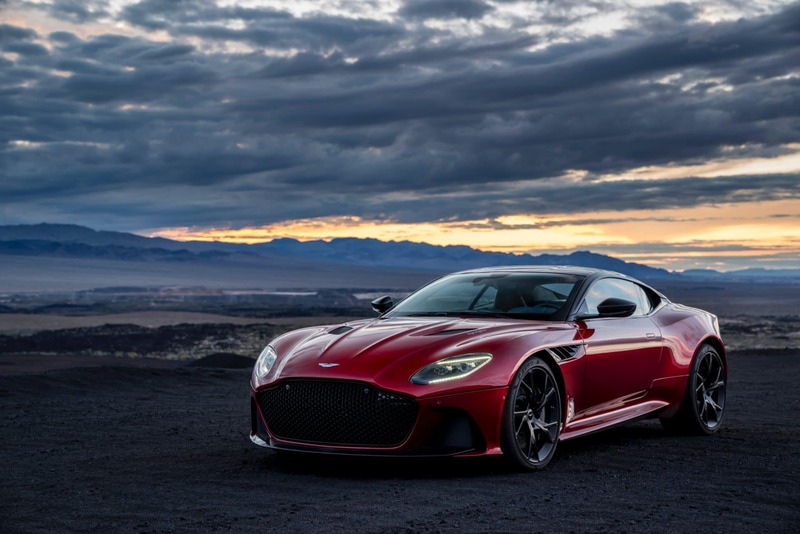 The Aston Martin DBS Superleggera will be the company’s latest Super GT flagship, taking over from the highly acclaimed Vanquish S. It will also be taking cues from the Aston Martin DB11, which was the British marque’s former grand tourer. Its design language is a blend of a timeless classic while still remaining in the realms of modernity. This starts out with a new front bumper with a breathtaking hexagonal grille, which will improve engine cooling alongside two extractors on the side to keep the brakes cool. There are also two vents on the hood, which help in the engine cooling process. It also cuts down on drag with an F1-inspired diffuser, generating 180kg of downforce at VMAX. Its designs are all about aerodynamics, which play a big part in the performance of such a vehicle like the Aston Martin DBS Superleggera. It’s a mixture of athleticism and aggression while still a sight for all to behold. 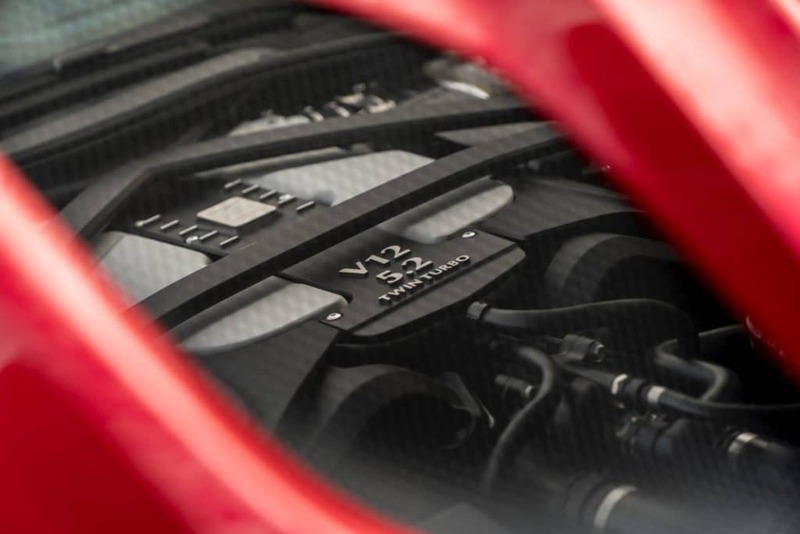 Under the hood of this modern-day classic lies the 5.2-litre V12 twin-turbo engine, which is set low and as far back from the chassis as possible to optimise on its centre-of-gravity and weight distribution. It can generate up to 725hp of power alongside 900Nm of torque. It’s aided by a new exhaust strategy along with quad tailpipes, allowing oneself to stay refined yet in command at all times. It comes with blistering pace, clocking in at 340kph at top speed while doing the century run in only 3.4 seconds. 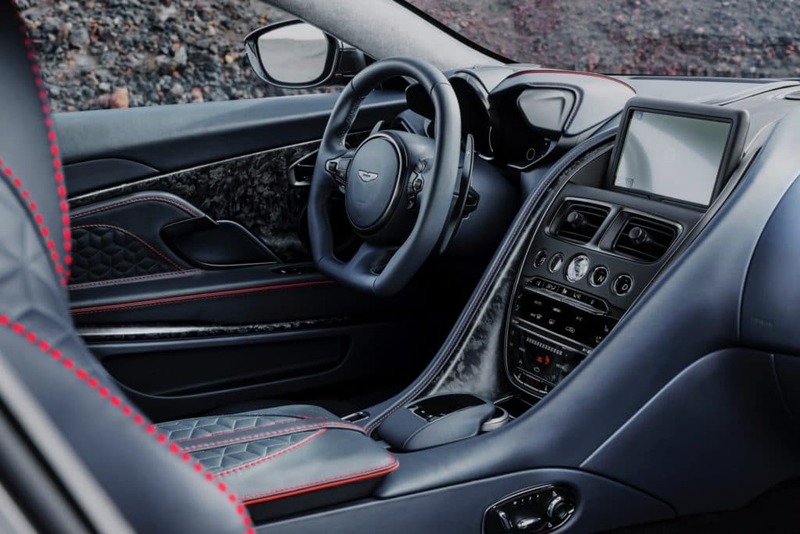 Aston Martin also made sure to go for the gold on its interior. Keyless entry is already becoming a norm even for regular everyday cars so the British automakers threw in a tyre pressure monitoring system for good measure. It also comes with a 360° camera with Parking Distance Display and Park Assist. The central dial is also the heart of the car, giving you control over the infotainment system with a central LCD screen as well as an integrated satellite navigation system and wi-fi hub. All in all, the Aston Martin DBS Superleggera is the latest and greatest supercar to hit our shores. If you’re looking for a personal viewing, be sure to check out the Aston Martin website for more details.